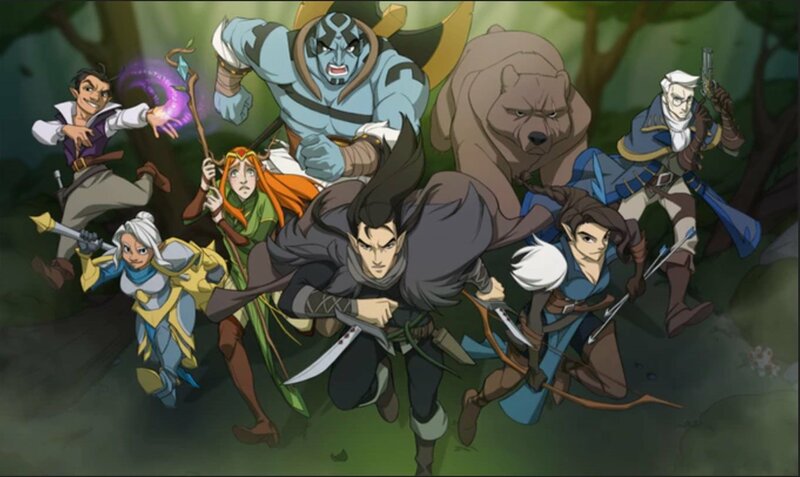 With one week left to go, Critical Role’s Animated Series Kickstarter is probably going to raise ten million dollars to animate parts of the Critical Role D&D campaign, making it one of the most successful RPG-related Kickstarters of all time. 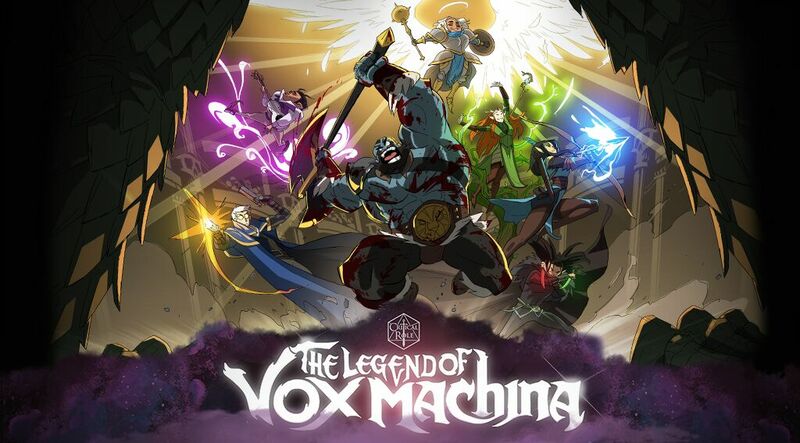 Critical Role’s animated special The Legend of Vox Machina launched in late March to a meteoric rise, raising millions of dollars in a single day. In the ensuing weeks, the Kickstarter campaign has coalesced around the idea of doing more than just creating an animated special–but an entire ten-episode series. Each episode rolls in at the 22-minute mark, meaning that come 2020, you’ll get almost 4 hours of a Critical Role Cartoon. Which is insane to think about. Here we are, in the Year of Our Lord 2019 and a D&D Cartoon is going to raise upwards ten million dollars because that’s how badly people want the thing. At press time the Kickstarter is sitting just shy of $9.5 million and is a testament to the strength of the Critical Role community. 70,347 people are responsible for making this all happen, and make no mistake, there have been some high-ticket donations as a part of this campaign. 5 people (or groups of people) donated $25,000 for a chance to get some exclusive, luxury-tier rewards–but the average donation for the campaign is ~$134. All of which is going to raise some interesting questions about the nature of the show, the game at its heart, and the industry that props it up. If this campaign hits the $10 million mark, it’ll be raising a significant portion of the entire ttrpg industry. Roleplaying games have always been the smallest end of the Hobby Games Market. Current estimation puts the industry at around the $55 million dollars/year mark, meaning that this Kickstarter campaign will make more in three weeks than most RPG publishers will in a year. Granted, these folks aren’t making a roleplaying game–the people backing the Kickstarter are donating to get an animated special, which requires an entirely different skillset. But the fact remains, Critical Role is borne up on the back of this. After all, it’s because of D&D–which is the massive leviathan upon which the rest of the RPG industry makes its foundations–that so many folks have been tuning in every Thursday. And in light of the Kickstarter’s success and the influx of people brought in by Critical Role, the people at the heart of the show are trying to use their position and privilege to shine some light on the smaller, scrappier sections of the industry. If you’ve backed Swordsfall or Humblewood and seen how successful they’ve been, that’s thanks, at least in part, to some of the visibility that folks like Matt Mercer have given them. As a bird owner, I couldn’t help myself. Which is not to say those creators haven’t also worked hard, hustled, and spent a ton of time, money, and blood sacrifices to unknown beings on dark moonless nights for their success. But, as we move forward into 2020 and beyond, there’s no question that more people are primed to take part in RPGs. How will the industry rise to meet them? Will D&D forever be the bedrock of the industry? How can smaller, indy developers find success in a market that can often struggle to keep up? These are the questions facing the industry and its community going forward. Whatever the answers, this feels like a turning point for RPGS–what do you think we’ll see because of it? Let us know in the comments, and Happy Adventuring!